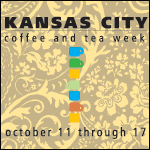 Kansas City Coffee and Tea Week is back, and with the 2014 KC Fall Caffeine Crawl as the kick off, it’s sure to be one for the books. 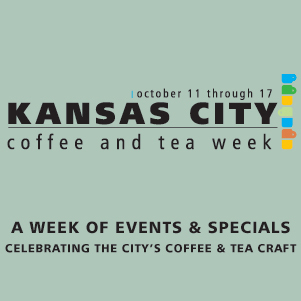 Participating coffee and tea shops, cafes and restaurants will come together with unique activities and specials to create a festive and upbeat week of caffeinated local enthusiasm. 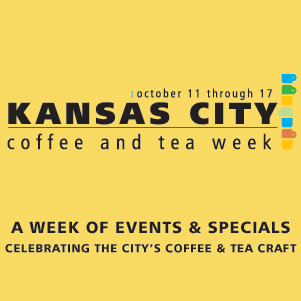 Similar to Restaurant Weeks held across the country, Coffee and Tea Week will include discounted drinks, exclusive new concoctions, special guests at local shops, and a myriad of other activities highlighting why Kansas City is one of the top coffee cities in the country. Local shops have the opportunity to showcase what makes them unique and share their craft beverage skills with supporters, who are eager to learn. An enhanced coffee and tea experience encourages individuals to explore one of their favorite routines, and the community comes together around the local beverages they love. 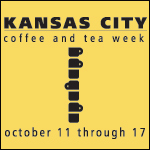 Coffee and Tea week will kick off October 11th and 12th with Kansas City’s 5th Caffeine Crawl, an After Crawl Party hosted by Benetti’s the evening of the 11th, and events will continue through October 17th. Check in on Facebook for the most recent updates on the event page here. About The Coffee - Open for the first time at their new space, and offering daily specials. Little Freshie - Made to order Belgian Waffles and Spicy Ginger Cider is back! 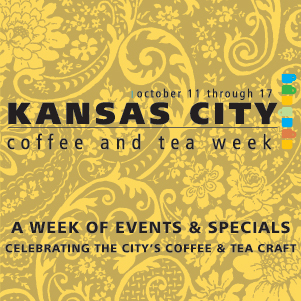 Parisi Artisan Coffee - Free tastings of a different single origin each day, plus discounts on whole bean and brew equipment. The Roasterie - 25% off Bodum home brew products with 2 12oz bagged coffee purchase. Thou Mayest - 20% off bagged coffee and t-shirts. After Crawl Party at Benetti's Coffee - LatteArtCade, Vinyl from a pop-up camper, home roaster round up, a coffee collaboration beer from Martin City Brewing Company, and more - open to everyone! More info here. - Second Best Coffee launches their new in-house roasting program, and will be serving their fresh roasts exclusively all week long! - Second Best Coffee - social hour at 5pm - drinks (other than coffee!) provided. -#Pour4theCause - Thursday Night Throwdown at Crow's Coffee - proceeds to a great cause! Details here. - One More Cup - Enjoy a 16 oz. drip coffee for the price of a 12 oz.